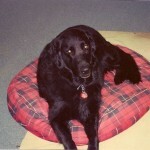 Vote for Chessie, the blind therapy dog! 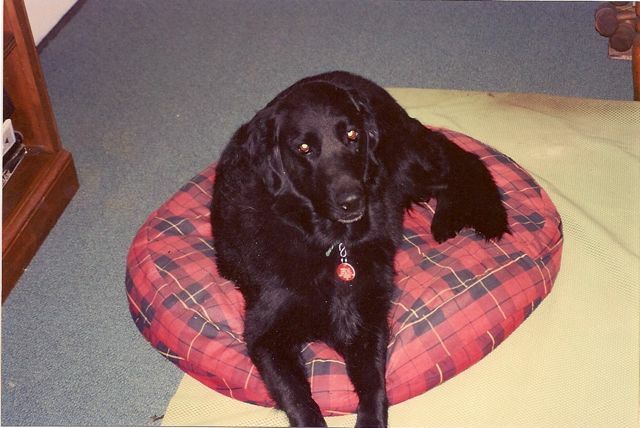 Chessie, one of the Paws on a Mission therapy dogs, has been nominated for the American Humane Association’s Hero Dog contest in the therapy dog category. You can vote for Chessie once per day until June 30th. Chessie is a hero every day. 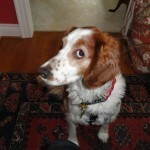 Please join me in voting for her and spread the word about Chessie and all the wonderful dogs who’ve been nominated. Thank you! 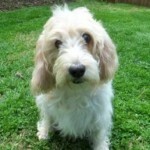 Posted in Contests and Fun Stuff, Favorite Animal Nonprofits, therapy dogs, Uncategorized | Comments Off on Vote for Chessie, the blind therapy dog! 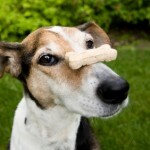 Grey Muzzle Organization Announces Grants for Senior Dog Programs! 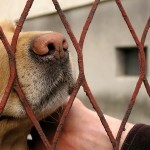 The Grey Muzzle Organization, whose mission is to improve the lives of at-risk senior dogs by providing funding to shelters, rescue groups, and sanctuaries and other animal welfare organizations nationwide for programs such as hospice, medical needs, and senior dog adoption, has opened its 2012 grant application cycle. Organizations interested in applying for funds to help senior dogs must submit a Letter of Intent by April 1. 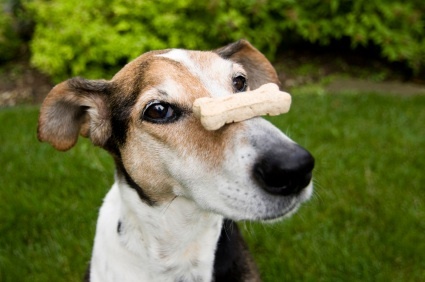 Grey Muzzle works tirelessly on behalf of senior dogs. 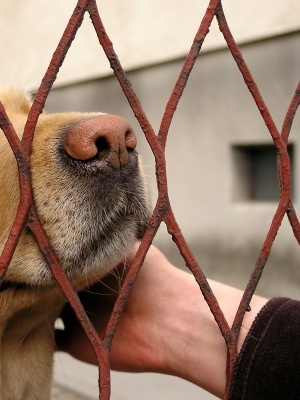 They are supported entirely by individual donations, which then fund grants to approved animal welfare organizations for programs benefiting senior dogs. Grants have funded basic medical and dental care to make a senior more comfortable and adoptable. Grants also fund hospice care to ensure that a senior dog has a safe and loving end of life instead of dying alone in a shelter. 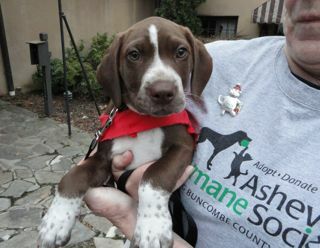 Grey Muzzle grants also assist with programs to encourage senior dog adoption. 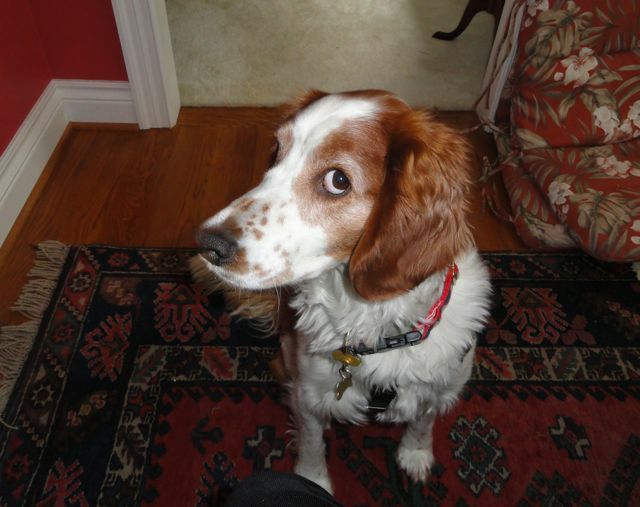 Speaking from personal experience of adopting Dixie, an 8-year old springer about to be euthanized because her ill owner couldn’t keep her, senior dogs have much love and joy to give. Please join me in spreading the word about this wonderful organization and the opportunity to improve the lives of senior dogs! 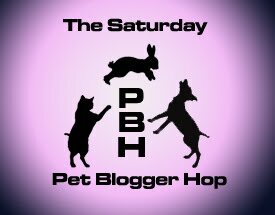 This post is part of the Saturday Pet Blog Hop hosted by Two Little Cavaliers and Life With Dogs. 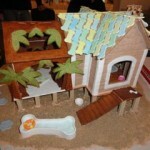 Please visit other participating pet bloggers! 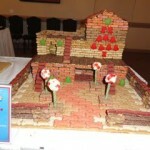 This post is part of the Saturday Pet Blog Hop hosted by Two Little Cavaliers and Life with Dogs. 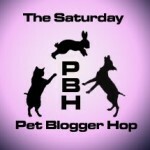 Please visit the blog hop and discover lots of fun pet blogs! 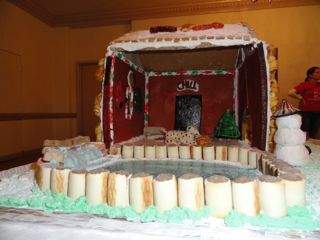 Asheville, NC is known for several famous attractions including the Biltmore Estate and the amazing Grove Park Inn, which is especially fun to visit this time of year to enjoy its massive stone fireplaces in the lobby. 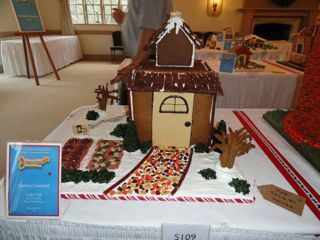 The Grove Park Inn also hosts the National Gingerbread House Competition, which has become quite an attraction by itself and is featured on Good Morning America. 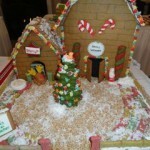 Recently, the Grove Park Inn became pet-friendly and now welcomes four-legged guests as well. 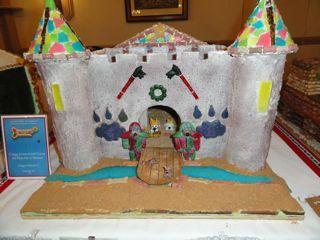 This year, a dog-loving staff member at the Grove Park Inn dreamed up the idea of the “Grove Bark Inn” Gingerbread Dog House Competition to benefit local charities including the Asheville Humane Society and Paws On A Mission pet therapy program. 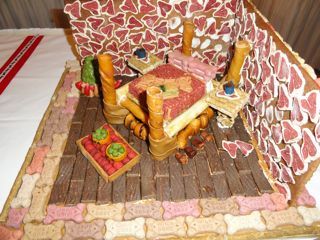 Entries had to be composed entirely of dog-edible materials. 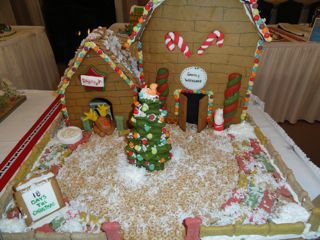 Judging from the wonderful aroma in the room, many entries contained peanut butter! 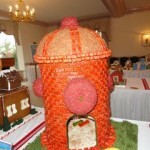 Over 20 entries were received in this first year of the competition, with the theme of “a dog’s favorite things.” The panel of judges had many wonderful entries to view, including an amazing tall fire hydrant that took Best in Show. Here are my favorites – which are yours? 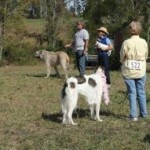 Last weekend on a perfect fall day, I attended the 78th annual “Any and All Dog Show,” sponsored by the Tryon, NC Riding and Hunt Club as a fundraiser for the Foothills Humane Society. We took folding chairs and sat ringside among an assortment of dogs and humans, all having a good time. 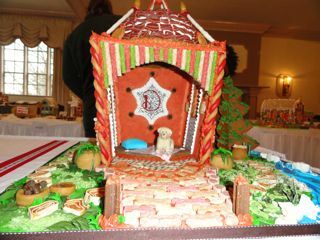 The show began with a blessing of the animals, always a moving moment of gratitude for the love and devotion of our pets. The first class was “dog with the best trick.” The kids proudly led their entry into the ring, one at a time, to perform a trick for the judges. The winner was an agile English Shepherd, who cleared a triple spread jump (the kind horses jump in competition) with ease. 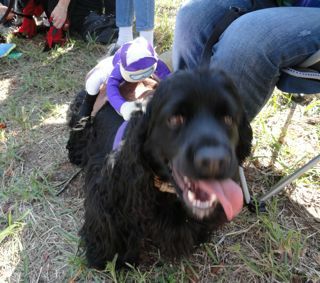 Next was “dog with the best costume.” My favorite, Tucker the black cocker who had a jockey perched on his back, came in second behind a beautiful chocolate lab dressed as a gladiator. 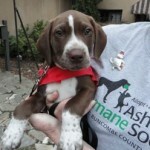 The “so ugly it’s cute” class was won by Griswold, a brindled mastiff/basset hound mix. Imagine a mastiff body and head on short legs. This was followed by “the dog with the most interesting tail,” which was a large class. I wished I had brought Baker to enter as I think his plume tail is quite something! The winner was a foxhound mix with a curly tail which was indeed interesting. 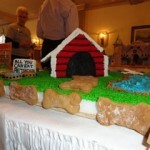 The “best adopted dog” class seemed to include nearly every dog present, and I wondered how the judges would ever decide. In the spirit of the day, every dog in the class received a blue ribbon! 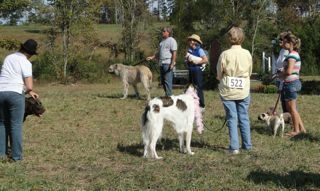 Many of the dogs stayed in the ring for the next class, “Best tail wagger,” which after stiff competition was won by a terrier mix whose tail wagged the entire time. Then, the “Dog who would rather be home” entries included a pair of sweet old golden retrievers, who played the part by flopping down on the grass. 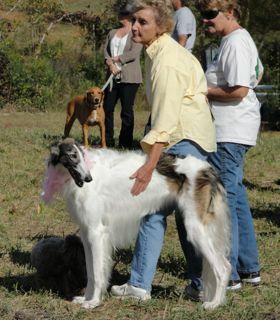 But the winner was a collie mix who tried to drag her owner out of the ring – perhaps she decided it was time for a hot dog at the concession stand. The classes concluded with “Biggest and smallest,” “Best senior dog” (won by a 15 year old JRT mix), and “Family class” for dogs in the same household. 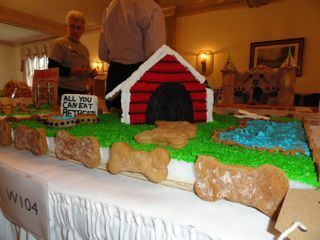 Then, the winners of each class (except for the adopted dog class) paraded in for Best in Show. 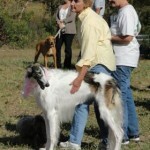 The English Shepherd showed off another trick, sitting up on her haunches, and took the prize. 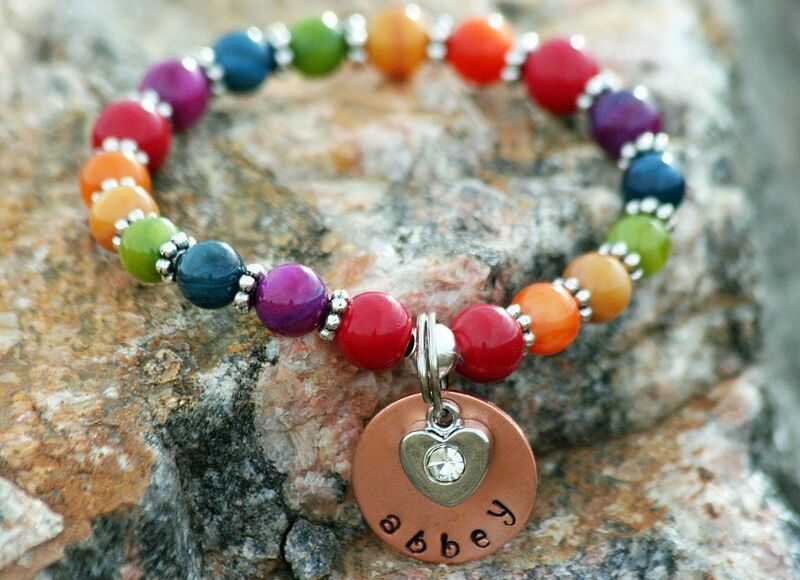 Kids and dogs – what could be better on a sparkling day in the country? 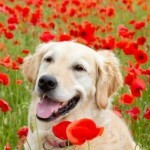 Celebrating Hero Dogs – Vote for your favorite! I love the American Humane Association’s Hero Dog awards, which spotlight ordinary dogs doing extraordinary things to help people. 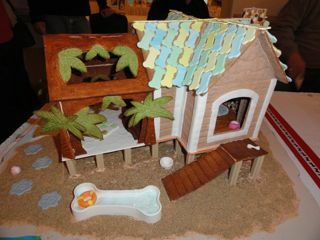 This year the competition received 453 nominations, which have been narrowed to 8 finalists, including a therapy dog, a surfing dog who helps disabled children, a military dog, a service dog, a search and rescue dog, and guide dog Roselle, who led her master to safety from the World Trade Center. Certainly all of them are deserving of the award, but the winner will be chosen by online votes. 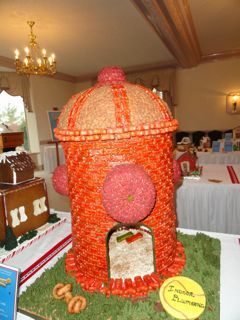 You can vote for your favorite once per day until September 30th. 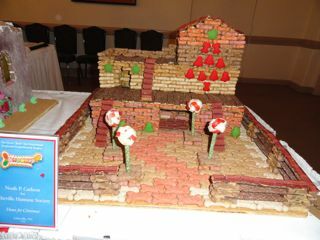 The winner will also receive a grant to their designated charity! Congratulations to the finalists! Their stories are uplifting and inspiring. 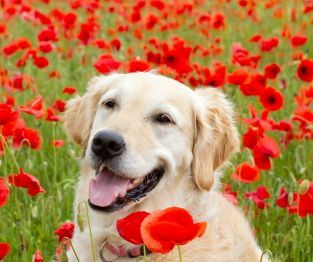 Posted in Contests and Fun Stuff, Favorite Animal Nonprofits, Uncategorized | Comments Off on Celebrating Hero Dogs – Vote for your favorite! 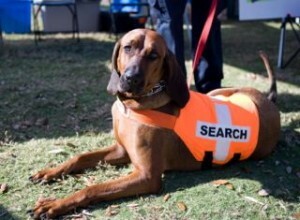 Help the Search Dogs as they help tornado victims! Memorial Day is a day to pause and honor not only our brave soldiers, but also those whose courage, strength, and caring help others. While they’re not “war heroes,” search and rescue dogs play an increasingly important role in saving lives during natural disasters. From earthquakes in Haiti and Japan, to the recent tornadoes in the Midwest, dogs trained by the Search Dog Foundation have been deployed. 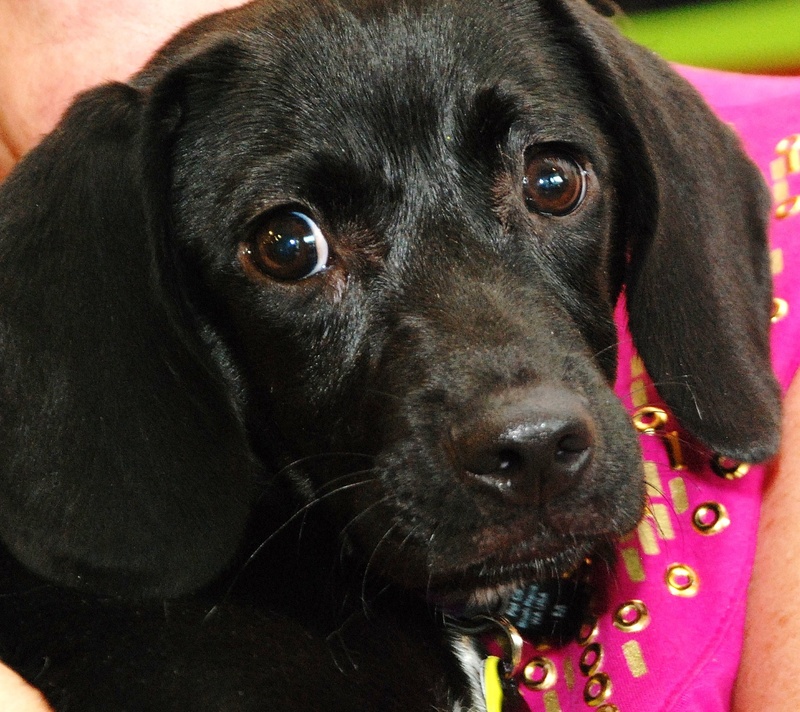 All of these dogs were themselves rescued from shelters! Their rigorous training is financed entirely by private donations. 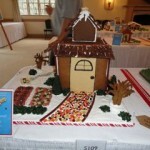 Help them meet a $100,000 challenge grant by making a donation by June 1, 2011. 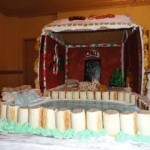 As of today they are very close to the goal, and every dollar makes a difference. “The Search Dog Foundation began in Oklahoma City, with Wilma’s deployment to the Federal Building bombing. Since then, we have been deployed 77 times. There are now 76 SDF Search Teams. Of these, 20 are based in “tornado alley”: 9 in Oklahoma, 4 in Nebraska, 4 in Dallas, and 3 in Florida. We have requests coming in from fire departments in other Midwest states, so that when disaster strikes in their region…no one will be left behind. 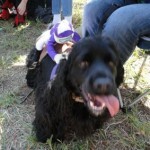 Posted in Favorite Animal Nonprofits, Uncategorized | Comments Off on Help the Search Dogs as they help tornado victims! A New Job for Pearl – Recommended Book! 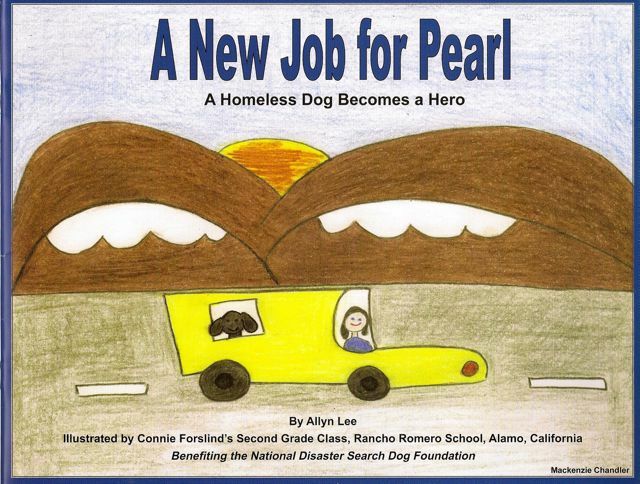 A New Job for Pearl is a delightful book created by a group of talented, second grade students in Alamo, California to tell the story of Pearl, a Black Labrador rescued from an animal shelter, who has a new job in search and rescue, thanks to the Search Dog Foundation. This organization works with shelters and rescue groups to identify search dog candidates, who are often the high energy, bounce off the walls type of dog that are hard to place. As the book explains, these dogs need a job! After eight months of training costing approximately $10,000, the dog is placed with a firefighter trained in disaster response, and is deployed to disaster sites worldwide. 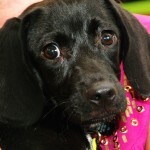 For her work in rescuing 12 people trapped in the Haiti earthquake, Pearl was honored as the “Dog of the Year” by the ASPCA. 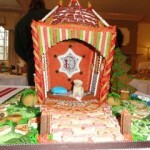 Proceeds from book sales benefit the Search Dog Foundation. Copies can be purchased for $10 at A New Job for Pearl. Congratulations to this enterprising group of students, who not only created an uplifting book, but are helping to save lives of shelter dogs and the people they will eventually rescue. 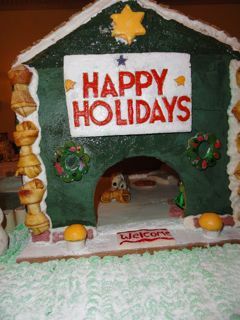 Today we are in the midst of a snow storm, so it’s a good day to bake. 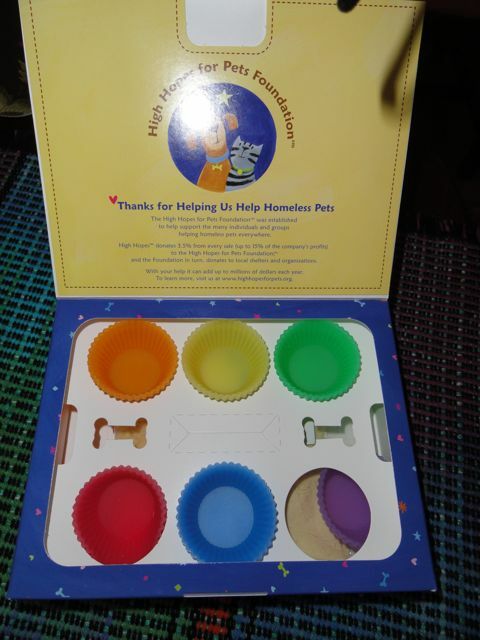 As his birthday is this week, Baker wanted to make dog cupcakes. 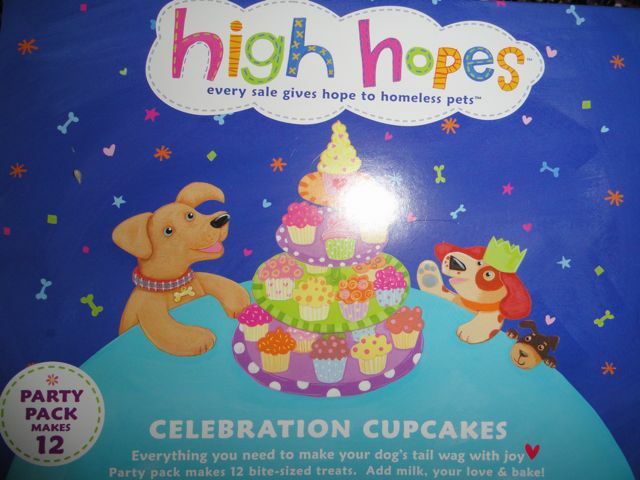 We tried a new cupcake mix for dogs from High Hopes For Pets, a company that donates a percentage of each sale to shelters and rescues, to help homeless pets. 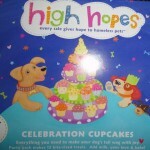 The mix is packaged in a box with fun, colorful graphics of two dogs at a table, looking at a stand of cupcakes. 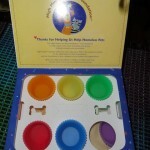 The box contains re-usable silicon baking cups, cupcake mix, frosting mix, and directions. 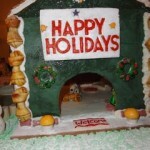 The directions include suggestions for adding peanut butter, banana slices, and other decorations. 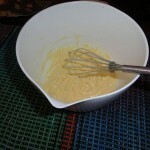 The first step is to make the frosting mix by adding a few tablespoons of milk or water, so it has a chance to harden. 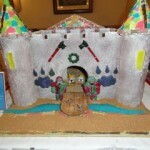 The frosting is sugar-free and is made from yogurt, egg whites, and natural food coloring. 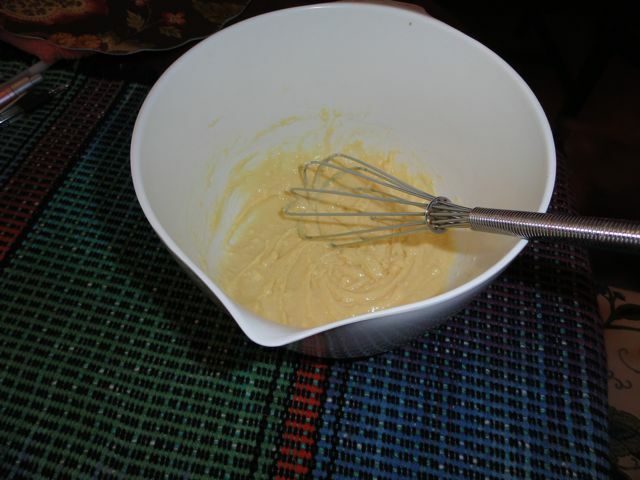 Next step is to add water or milk to the cake mix. 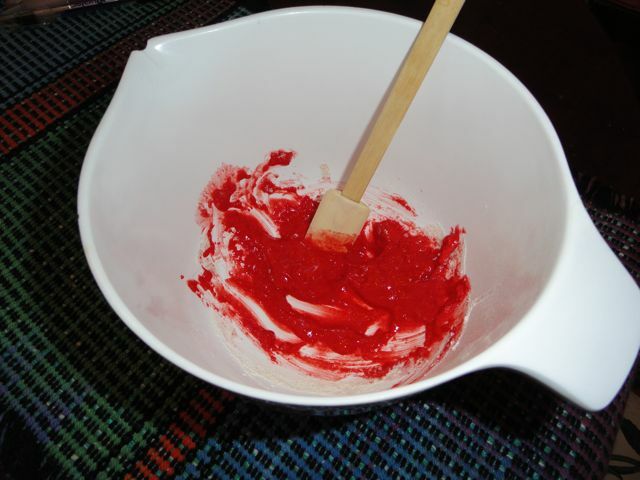 Then, fill each silicone cup with batter and bake for 10 minutes. 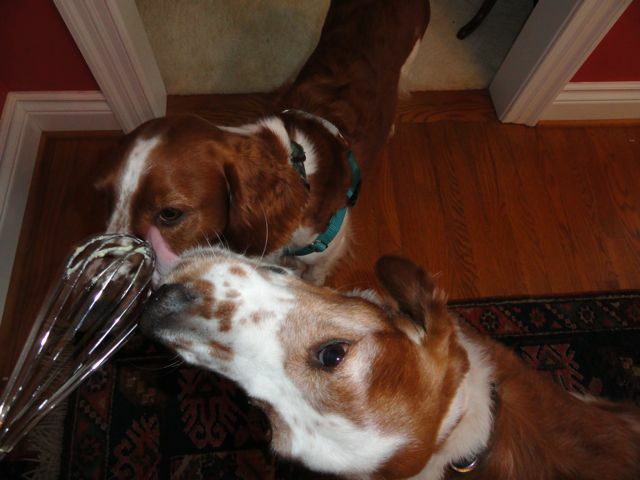 Alex and Baker got to lick the whisk, and they loved the batter! Add the frosting after the cupcakes have cooled for a few minutes. 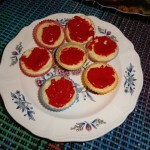 This batch turned out a little crumbly as I think I should have left them in the oven a minute or two longer. 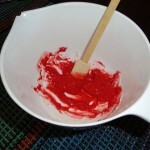 They need to be pretty firm to remove them from the silicone cups without crumbling. 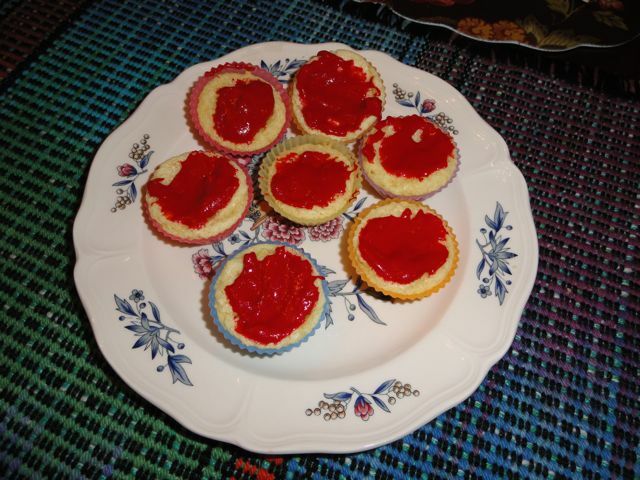 As I was taking this picture of the finished cupcakes, Alex counter-surfed and cleaned up the crumbs. 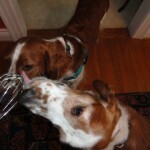 Alex and Baker give a high five to these dog cupcakes! 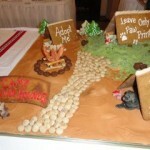 Bark it Furward – a fun way to help service dogs! 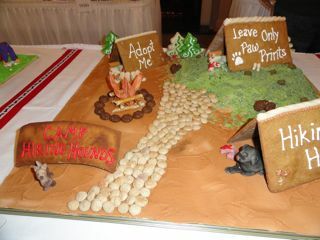 Here is an easy way to celebrate the holiday season that costs you nothing, but gives back to a wonderful organization, Canine Assistants. All you have to do is comment on this post, and for each comment, the folks at Milk-Bone will donate $1 to Canine Assistants, a non-profit organization that trains and provides service dogs for children and adults with physical disabilities. For nearly 20 years, Canine Assistants has provided service dogs to the disabled, giving them the chance to live more independently. 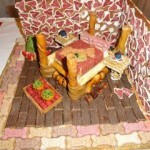 Bark it Furward takes place from now until January 4, 2010, and there is no limit to the number of times you can comment. During December I will be posting more information on Canine Assistants and their work, and why it’s important to support them. 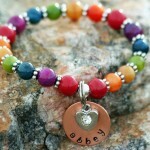 Keep checking back and thanks for commenting! Posted in Contests and Fun Stuff, Favorite Animal Nonprofits, Uncategorized | Comments Off on Bark it Furward – a fun way to help service dogs! 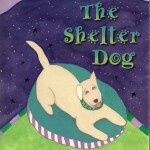 The Shelter Dog – Recommended Book! I found this lovely little book, The Shelter Dog, written and illustrated by Christine Davis (Lighthearted Press, 2008) in the online store of the Grey Muzzle Organization, a nonprofit that helps homeless senior dogs through grants to shelters, rescues, and sanctuaries for programs such as medical assistance for senior dogs, adoption and foster programs for senior dogs, and community programs to help low-income owners keep their senior dogs. The plight of homeless senior dogs is a cause close to my heart, and I was thrilled to discover the Grey Muzzle folks and be able to support them through purchasing a book! 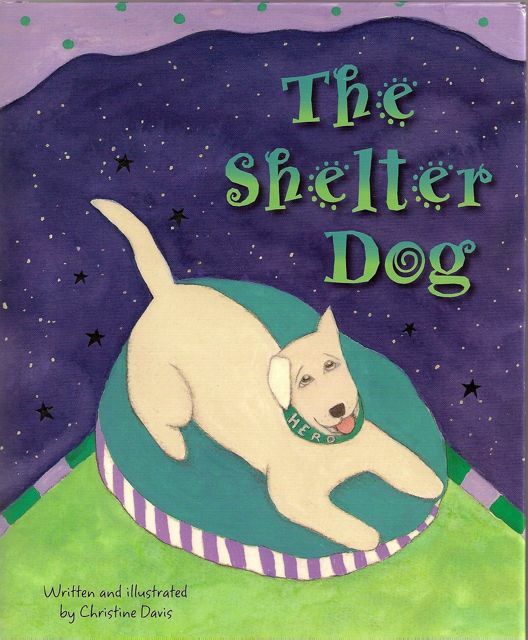 The Shelter Dog tells the story of Hero, a dog who had a happy and loving earthly existence as companion to a young disabled girl. One day, as he flies among the stars, he asks the Shelter Angel, who watches over shelter dogs, if he can return to earth as a shelter dog. “It must be wonderful to be a shelter dog and have someone find you and bring you home,” Hero thinks. 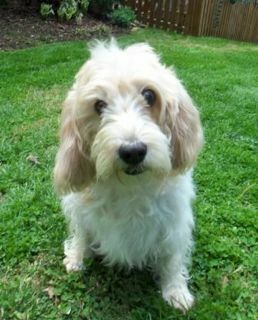 But as an old dog with a limp, he finds himself passed over in the shelter. I won’t give away the ending, but can assure you this is a book you will love for its positive, uplifting message. The story and illustrations will captivate readers of all ages. A perfect gift book! Posted in Favorite Animal Nonprofits, Favorite dog books, Uncategorized | Comments Off on The Shelter Dog – Recommended Book!